Shahid Kapoor has been in limelight this year not only for his power packed performance in his recent movie, Haider but also for his much awaited wedding. Talks about Shahid Kapoor ‘s marriage has acquired unbelievable proportions. 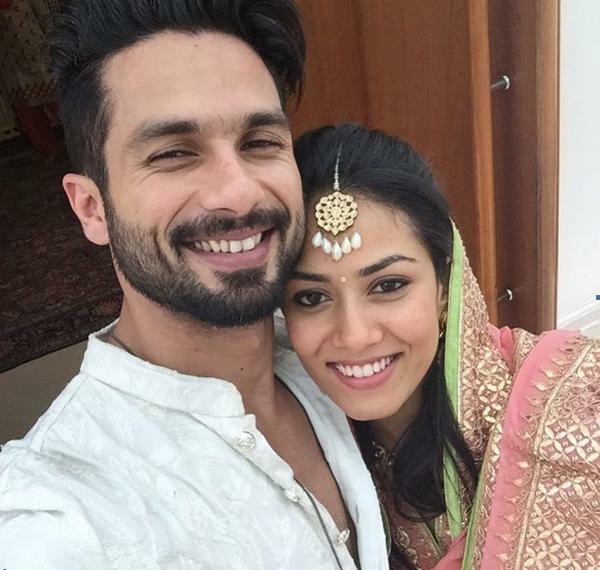 The heartthrob of millions tied the knot yesterday with Delhi based Mira Rajput. #Shanatics or fans who are fanatic about Shahid, are pouring out their love and adulation for him on Twitter and have taken it by storm. Today, we bring to you 5 reasons why people love Shahid Kapoor. Shahid started off as a background dancer in the films Dil To Pagal Hai and Taal and cemented his foothold in the film industry slowly and gradually. Though his father Pankaj Kapoor is an established actor, Shahid made a name for himself on his own. For his first movie Ishq Vishk, critic Ziya Us Salam said, “He has inherited his father’s face and his mother’s lips. That means he is no hero material, not yet – boyhood seems to have overstayed on his face – but he is not necessarily bad in the acting department.” The film proved to be a sleeper hit at the box office and won Kapoor the Filmfare Award for Best Male Debut. And since then there’s no looking back. Shahid was interested in dance from an early age, and at the age of 15, he joined Shaimak Davar’s dance troupe. He is known for setting the stage on fire, always. He is an amazing dancer and can burn up his rivals with envy on the dance floor. Shahid is one of the brilliant actors of his generation. He has loads of talent and has given some extraordinary performances which is suitably proven by the three dozen trophies lining his shelf. He is the recipient of two Filmfare Awards — Best Male Debut for Ishq Vishk (2003) and Best Actor for Haider (2014). He has received two additional Best Actor nominations at Filmfare for Jab We Met (2007) and Kaminey (2009). For his performance in Haider, Kapoor was also awarded the Screen Award for Best Actor, Star Guild Award for Best Actor in a Leading Role, among other awards. Shahid has a mesmerizing smile that reaches his eyes which can make any girl swoon. He has that perfect smile which has equal parts of naughtiness and innocence. His smile exudes self confidence and charisma which women find so irresistible. Shahid is young and vibrant, with a magnetic charm and easy going candour that sets him apart from the rest. He is one of the most handsome men in the industry . He is not only stylish and well groomed but that perfect physique with a well sculpted and chiseled body. Shahid Kapoor sure has broken millions of hearts with his marriage but his fans love his wife too. And wish him lots of happiness and love. These are the 5 reasons why we love Shahid Kapoor. What reasons do you have?